Lunch is one of the most important moments of a child’s day. 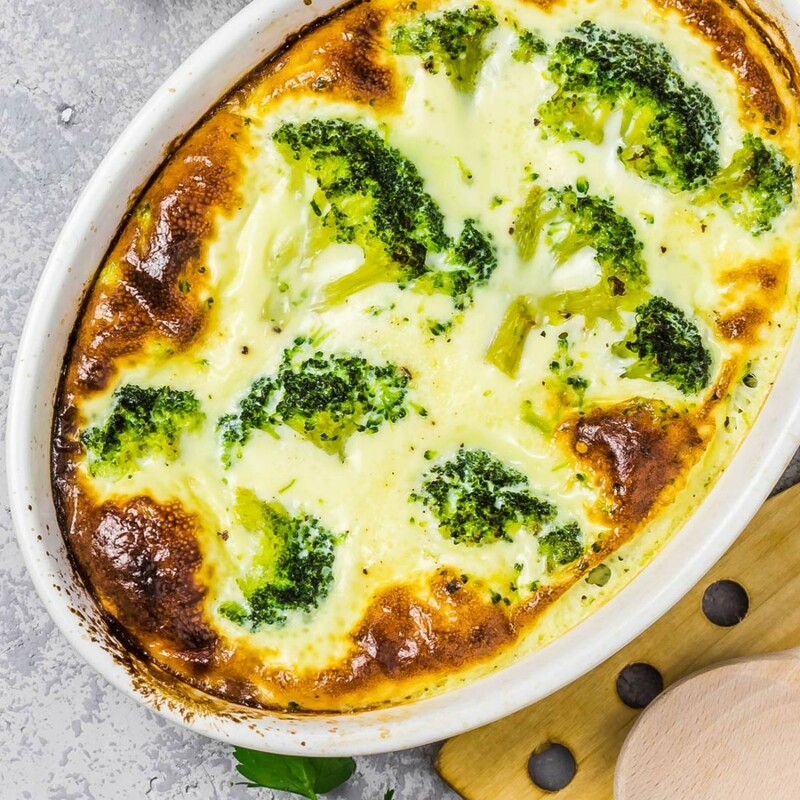 Not only is it a time for them to unwind and socialize with friends, but it’s an opportunity to fuel up so they can tackle the rest of the school day. As parents, it’s our job to provide them with a nourishing meal that they will actually enjoy eating. 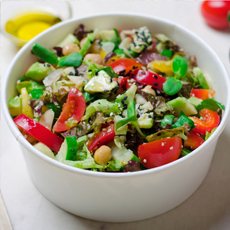 We understand the difficulty in coming up with lunch ideas that are both tasty, healthy and easy to make. That’s why we’ve put together this list of six kid-approved meals to get you started this year. Show off your creativity with this fun take on a flatbread wrap! 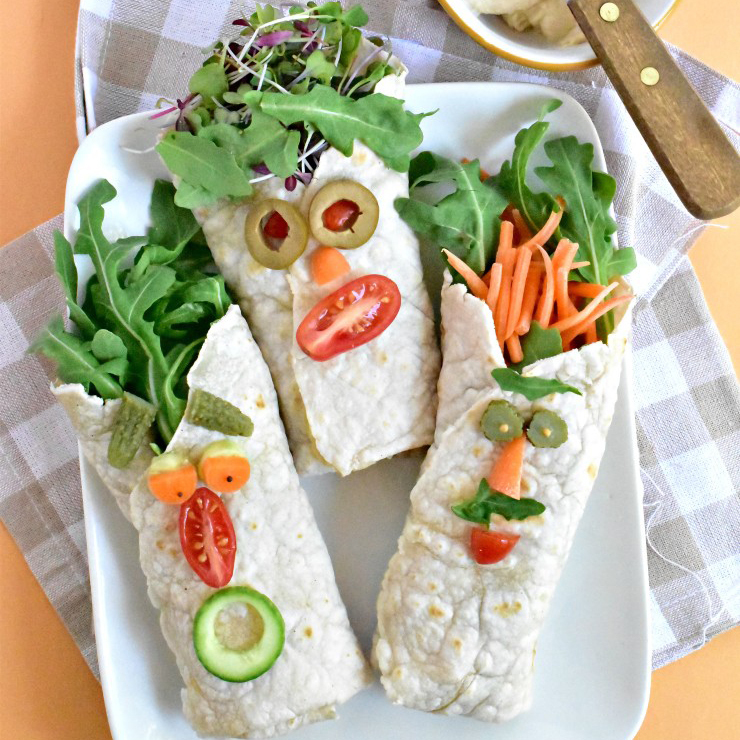 Use homemade hummus and colorful veggies to create a silly face that your child will get a kick out of. 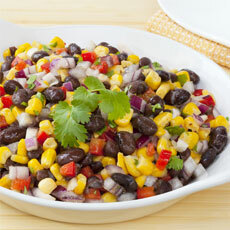 Plus, this lunch is loaded with nutrients so you can feel good about serving it to them. If your child is a fan of burritos, they’ll adore this fun lunch box creation. Made with simple ingredients including black beans, rice, rotisserie chicken, and their favorite toppings, feeding your child a healthy balanced lunch doesn’t get easier than this recipe. 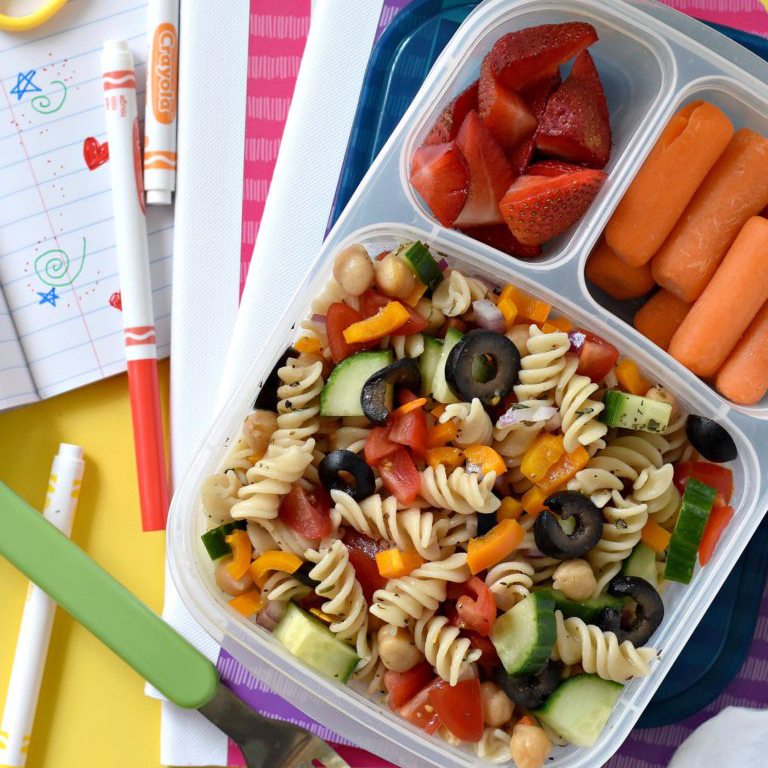 Give your child a break from sandwiches by surprising them with a tasty pasta salad. 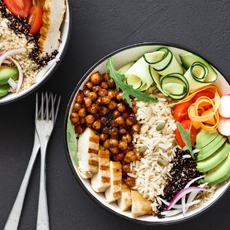 This better-for-you recipe ties together hearty grains, high-protein garbanzo beans and other fresh veggies to ensure your child is getting their daily nutrients in a fun and delicious way! Little ones tend of have small appetites, which can make it difficult to feed them a well-balanced meal. With these mini avocado and hummus quesadillas in your recipe bank, you can provide them with protein and vitamins without stuffing their belly. If you have trouble getting your child to eat their veggies, we’ve got the answer! This unique recipe packages zucchini, corn and cheese together into a fun muffin that they won’t be able to resist. Make sure to bake an extra batch because they’ll definitely be asking for more. These chocolate chip cookies will have your child counting down the hours until lunchtime! 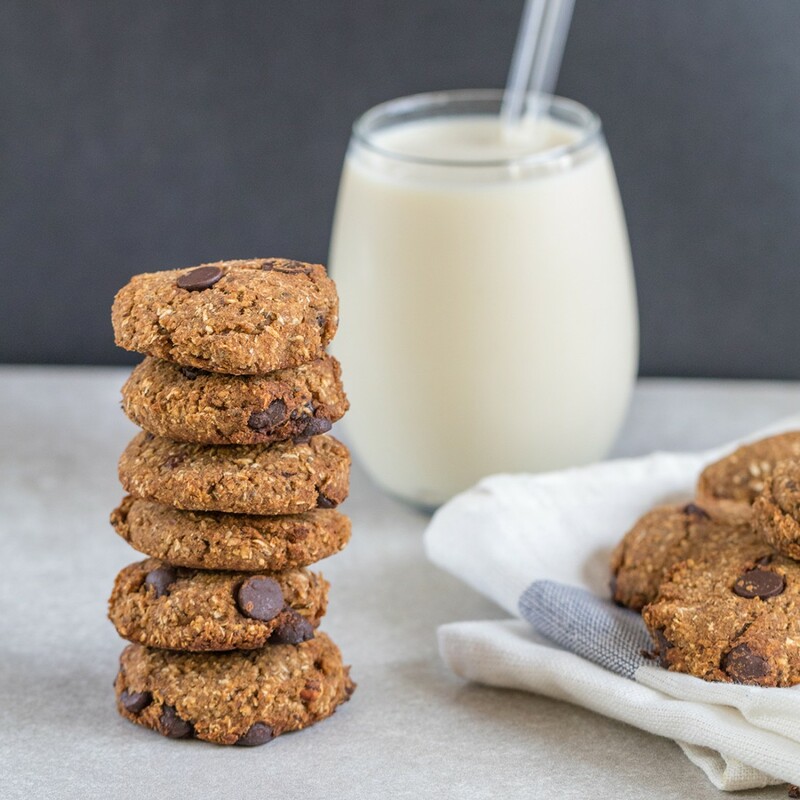 This healthier recipe uses Garbanzo Beans and rolled oats in place of processed flour so you won’t feel guilty about adding this treat to their lunch box. Our team is always looking to grow our collection of healthy lunch box ideas to share with the Green Valley parents. If you have any ideas of your own, we’d love to hear them! Share your photos with us on Facebook or Instagram for your chance to be featured on our page.